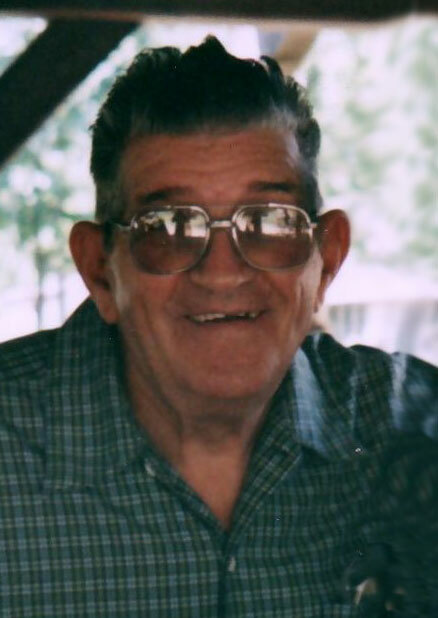 Robert J. Hamilton Sr., 91 of Marysville, formerly of Richwood died Wednesday, November 21, 2018 at Bluebird Retirement Community. He was born July 9, 1927 in Magnetic Springs to the late John T. and Kenova (Dull) Hamilton. He was also preceded in death by five brothers, John Thomas Jr., James, Lloyd Charles and Walter Hamilton; and two sisters, Mary Coder and Carrie Morris. On January 14, 1950 he married the former Beatrice A. Fawley in York Center and she survives. A veteran of the U. S. Army, he was a member of the Richwood American Legion Post 40 and VFW Post 870. He worked as a press operator for Whirlpool for 31 years, retiring in 1987. He was a member of the York Center United Methodist Church. He was well-known in the area for installing TV antennas and repairing TVs. Always a friendly jokester, Bob never knew a stranger. He is survived by three sons, Robert J. Hamilton Jr., Cheboygan, Michigan; Kevin Lee (Kay) Hamilton, Heath; Brian Keith Hamilton, Springfield; two daughters, Rebecca J. (Nick) Penhorwood, Zanesfield; Lori Ann (Doug) Hartman, Richwood; a sister, Betty (Donald Grose) Richardson, Richwood; grandchildren, Nikki J. (James) Devall-Craft, Jennifer J. (Jim) Rafferty, Jason C. (Cheri) Penhorwood, Linda Lynn (Jerry) Stotlee, Kevin Lee Hamilton II, Robert J. Hamilton III, Brandi Nicole Hamilton, Benjamin Jacob (Amy) Hamilton; great-grandchildren, James DeVall, Ericka DeVall, Cory DeVall, Jessica Bergum, Noel Rafferty, Cody Penhorwood, Chandler and Cyler Curtis, Madison, Kolbi and Abigale Hamilton; great-great-grandchildren, Kristopher, Kaylynn and Kameron Graver. Funeral services will be Tuesday, November 27, 2018 at 11:00 AM at the Stofcheck-Ballinger Funeral Home, Richwood with Pastor Carl Redding officiating. Military honors will be conducted by the Richwood Area Veterans and burial will follow in York Cemetery. Friends may call on Monday from 5 to 7 PM at the funeral home in Richwood. Memorial gifts may be made to the Richwood VFW Post 870, P. O. Box 164, Richwood, OH 43344. To Bob's family, we are so very sorry for your loss. On behalf of the VFW 870 & AL 40, we send our deepest sympathy on the loss of our comrade. Becky and Family, so sorry for your loss. I worked with Bob at whirlpool and helped him install Tv. antennas. always a good man. to me and my family. My heartfelt sympathies are with all of you during your time of sorrow. Bob was a funny man and was a constant figure in Somersville during our youth. I will forever miss my grandpa! Rest in peace until we see each other again! So very sorry for your loss. I have great memories of Great Uncle Bob always with a hug and funny story to tell. May God comfort you all through this time.